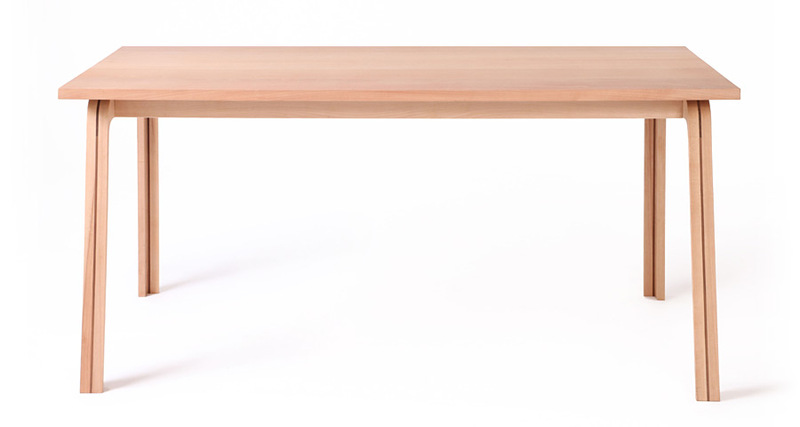 Raita Kaari is a furniture collection designed for a Japanese furniture company Tokiwa. Raita means stripe in Finnish while Kaari means arc or a curve. The characteristics of this collection are round shapes with sharp edges and light coloured wood with dark stripes. The series also uses the Finlandia pattern series which are used in products such as smart phone cases and Furoshiki wrapping textiles. The dark stripe and L-shaped legs are the main characteristics of the Raita Kaari collection. Chair with the four different Finlandia patterns. From left: Taimi, Nuppu, Aika and Satama. Front and side view of the stool with the Taimi pattern. 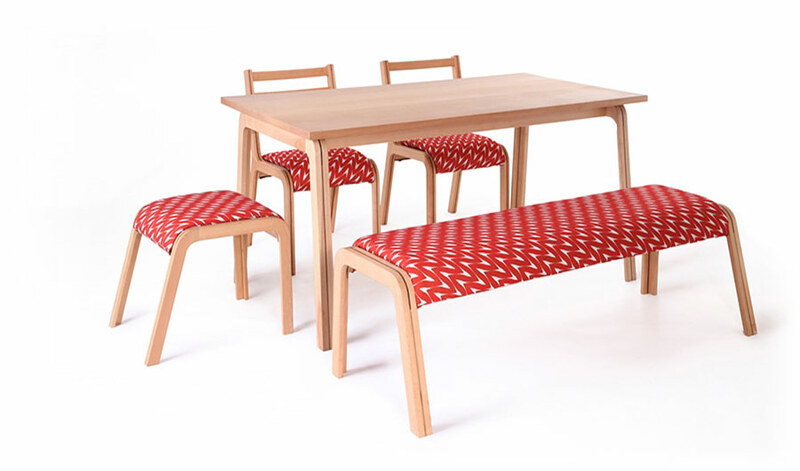 The dining table together with chairs, stool and the bench. 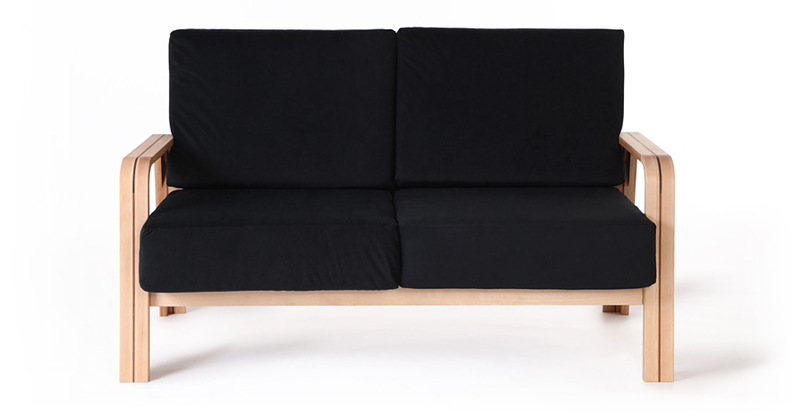 Front view of the sofa in black. The collection is also available in select colors. The sofa together with a low table. Cushions are also available with the sofa. 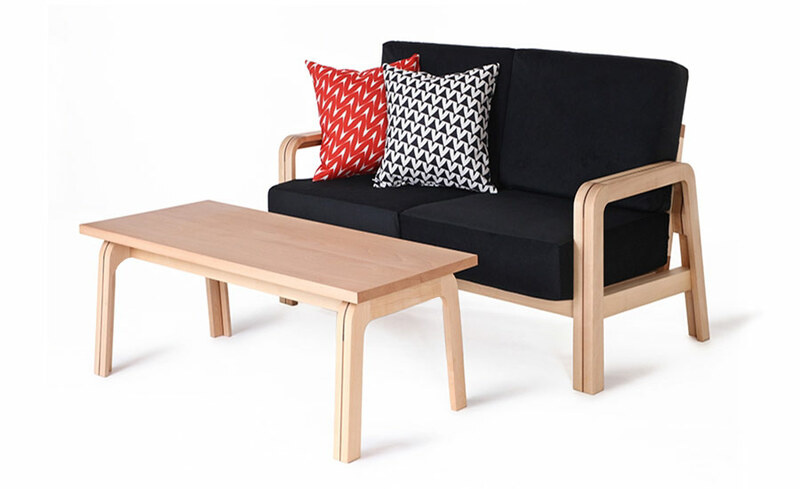 Cushions come also in the four different Finlandia patterns.